Cow Mini Alarm Clock. Sympathetic cow alarm clock to get it on the nightstand. Does not occupy much space. Clock type black and white cow, but mini, for those who do not like those big clocks that take up much space on your nightstand. Works with a stack of 1.5 and its sound is a beep. 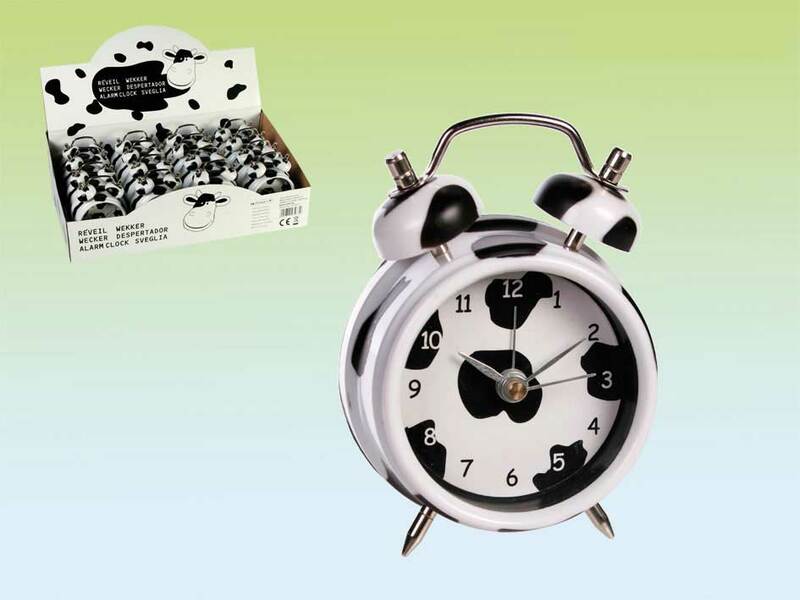 Cow mini alarm clock measures: 7 x 3 x 10 cm.